The majority of couples find the most difficult thing to deal with on relationship break down is managing conflict following separation. It is almost inevitable, even in the most amicable of relationship breakdowns, that the emotionally charged situation can lead to conflict, particularly when children are involved. The conflict levels can skyrocket, having an impact on the family as a whole, not just the separating couple. Even in a relationship that has died quietly, there is likely to be conflict of some kind, which, if not managed carefully can escalate into spiteful words and acts, ridiculous statements on social media sites (don’t. Just don’t) and sometimes sadly can descend into acts of domestic violence. The issues that cause conflict following separation are varied. Often the pain and grief at the loss of the relationship can cloud normal thinking, leading parties to say and do things normally outside of their usual behaviour. The pain of separation can turn to the pain of rejection if your ex re-partners with apparently unseemly haste. Unmanaged conflict following separation leads to harmful effects on children observing the conflict and animosity between their parents, both of whom they love dearly. This emotional distress often leads to children feeling they must choose between their parents. There is no blame to be had on relationship breakdown. Your relationship died not because of “the thing” that happened, or “the thing” that your ex did or didn’t do. No Judge will tell your ex they were the bad person causing the whole relationship breakdown. There is no guilty verdict to be had. That is not a judge’s job and if you think the judge cares who is to blame for the whole sorry mess that seems to be your life following separation, I’m afraid you are wrong. The judge does not care. Revengeful thinking at a time when you most need to be on top of decision making doesn’t assist. It can also cost you money on unnecessary legal fees; fighting to allocate blame or attempting to gain revenge by being nonnegotiable. You are separating not because of “the thing” but because your troubles started a long time beforehand. Relationship breakdown is never one person’s fault. 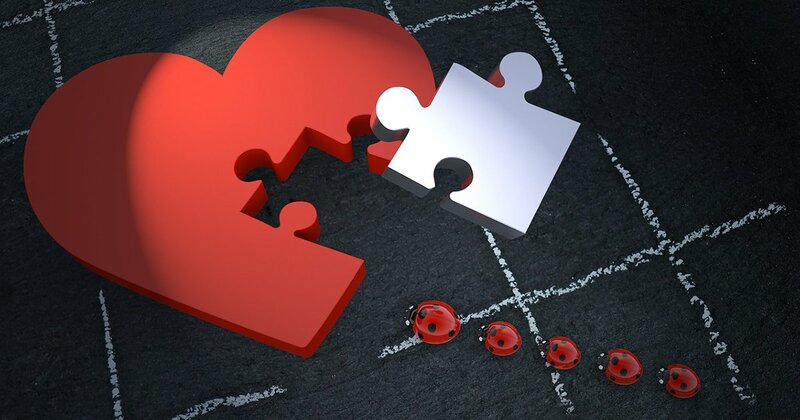 It takes two to make a partnership and if that relationship was not making your heart sing, then you played a part in staying too long in an unworkable unfulfilling situation. Accept ownership of that aspect and you will begin to heal, to stop allocating blame and start working towards the new future that lies ahead. When blame stops you are no longer the victim. You are taking that first step towards building your new future. So how do you manage conflict following separation? The key is good communication. Respectful communication. Always. If this is difficult then seek help. Engage with your GP for a psychologist to help you through. Don’t try to go it alone. There are services available to help manage the grief that follows naturally and when children are involved, how to parent effectively following separation. There are many mediation services to help couples negotiate the separation minefield. How will you know if you have managed that new future and made your way to a happy and fulfilling life? When you can say to your ex, that you wish them the same. That they too have a happy and fulfilling life. A long-term Cairns resident, Suzanne Hadley was admitted as a Solicitor in 1993 after completing five year Articles in Cairns. She is a Queensland Law Society Accredited Specialist in Family Law. Suzanne has extensive experience in the fields of civil litigation, family law and criminal law, and has practiced exclusively in the area of family law and all that area encompasses.